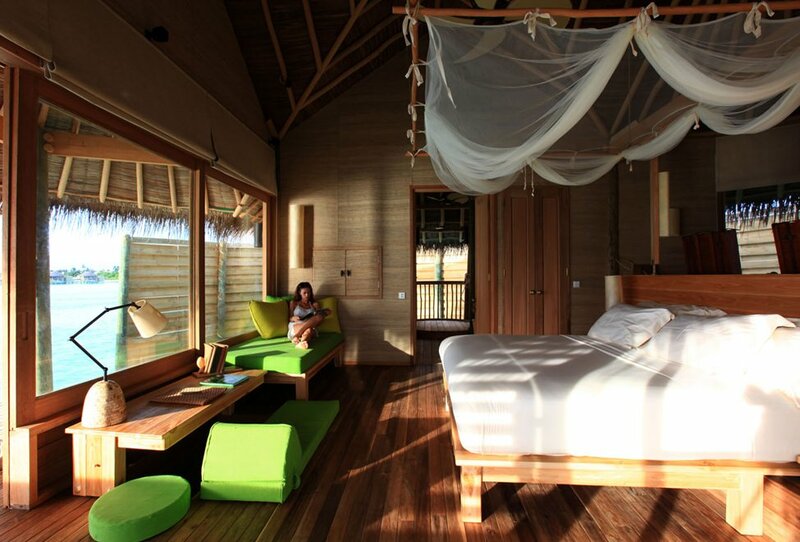 Six Senses is located on the island of Olhuveli, which is privately owned and within the Laamu Atol. 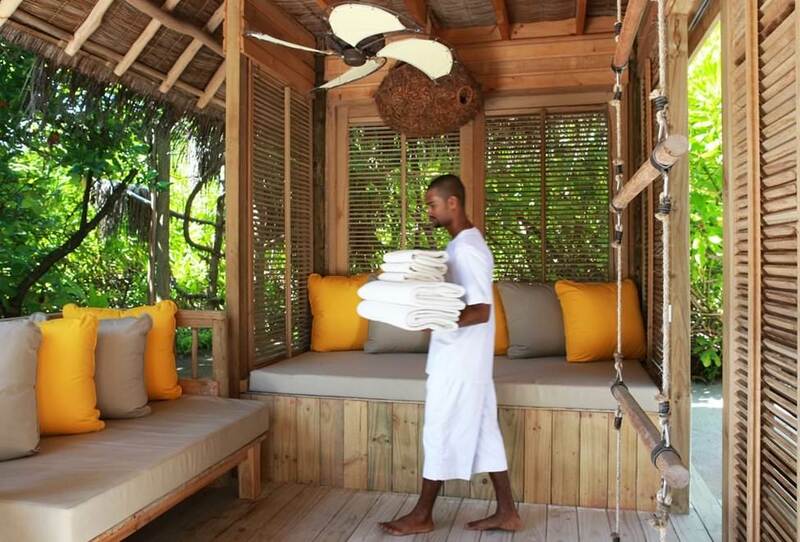 Throughout the villas, fine restaurants and spa where you can indulge in award winning treatments, you will notice there has been great attention to detail in terms of design, maintenance and service all of which contribute towards the success of this resort. 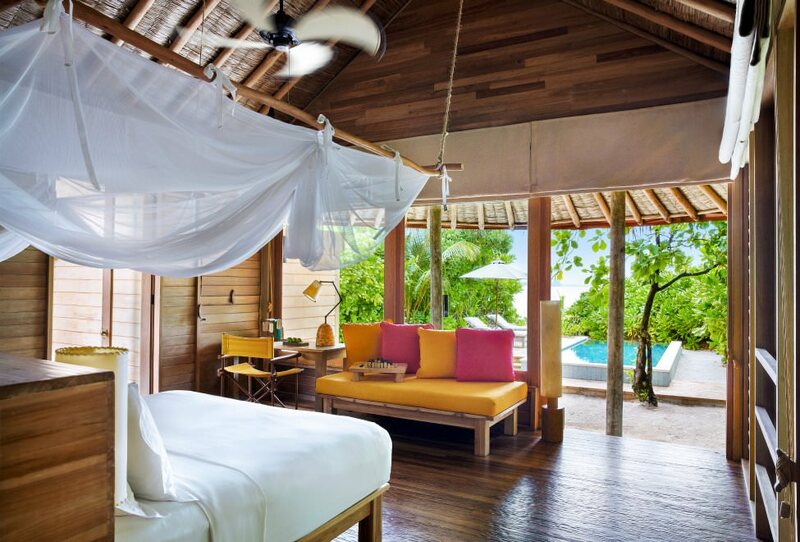 Hidden between the natural lush island greenery facing the lagoon these idyllic beach villas are cosy and stylish. 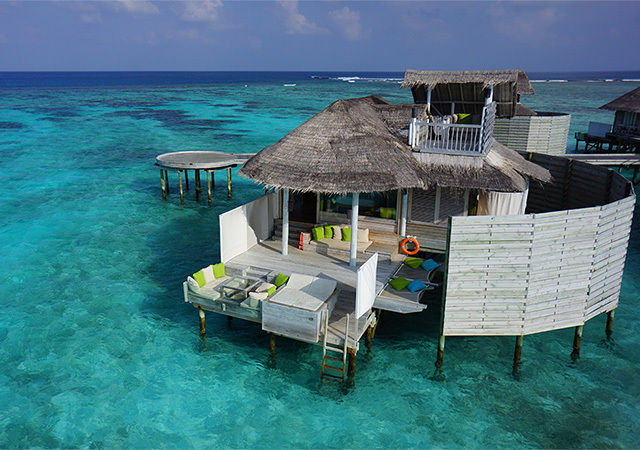 They feature private beach access, a private garden with daybeds and panoramic views of the lagoon from the dining deck and viewing platform at treetop level. 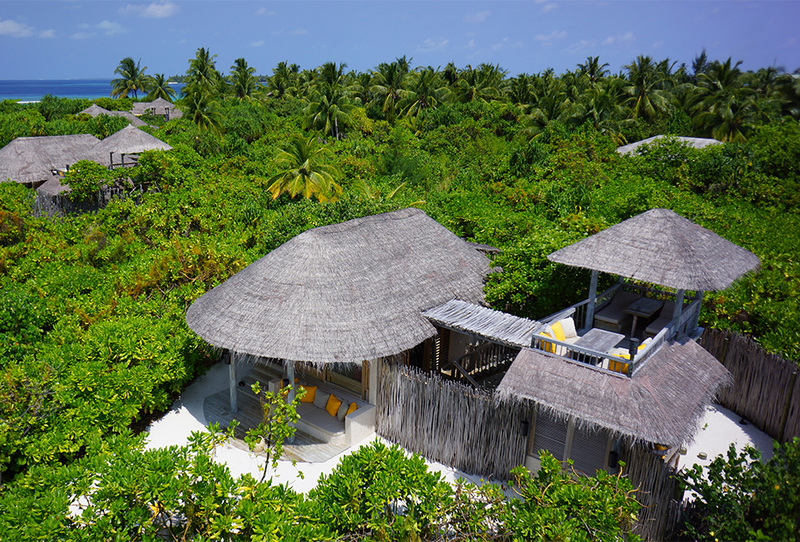 Located on the white powder sands of the beachfront these beautiful villas offer stunning views of the Indian Ocean nestled within the lush tropical jungle to give privacy. 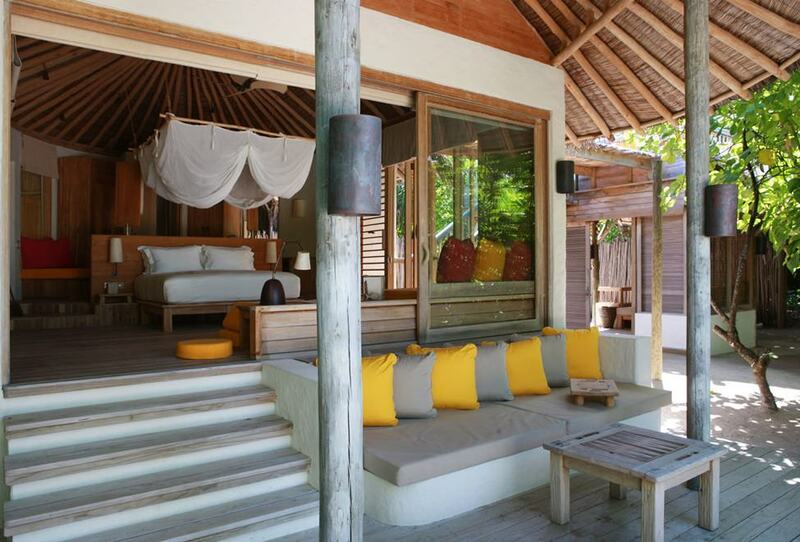 The beach is only a few metres away and the villa features a private treetop deck and garden area to view the natural beauty from. 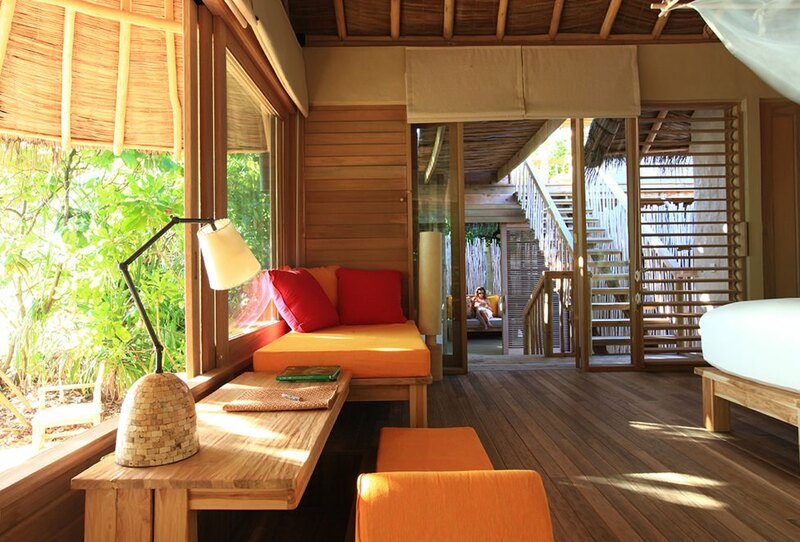 Hidden between the natural lush island greenery facing the lagoon these idyllic beach villas are cosy and stylish. 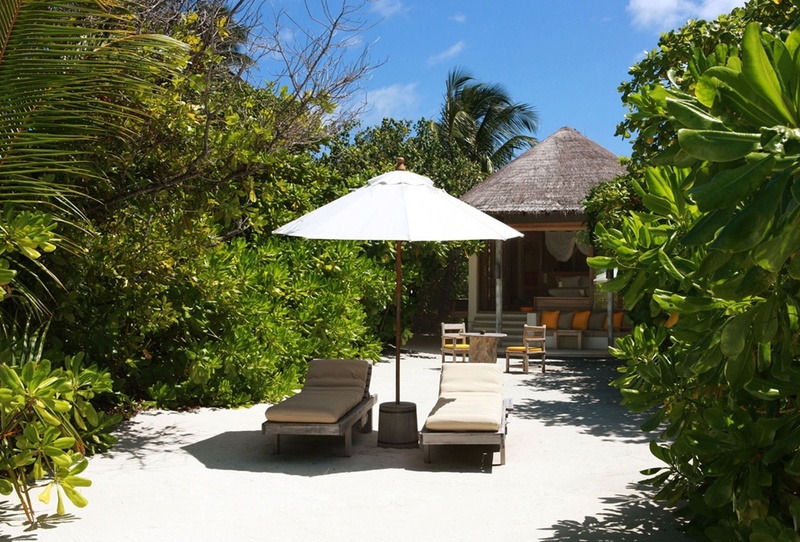 They feature private beach access, a private garden with daybeds and panoramic views of the lagoon from the dining deck and viewing platform at treetop level. 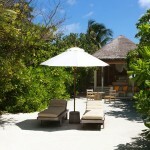 The villa also features an indulgent private pool to enjoy. 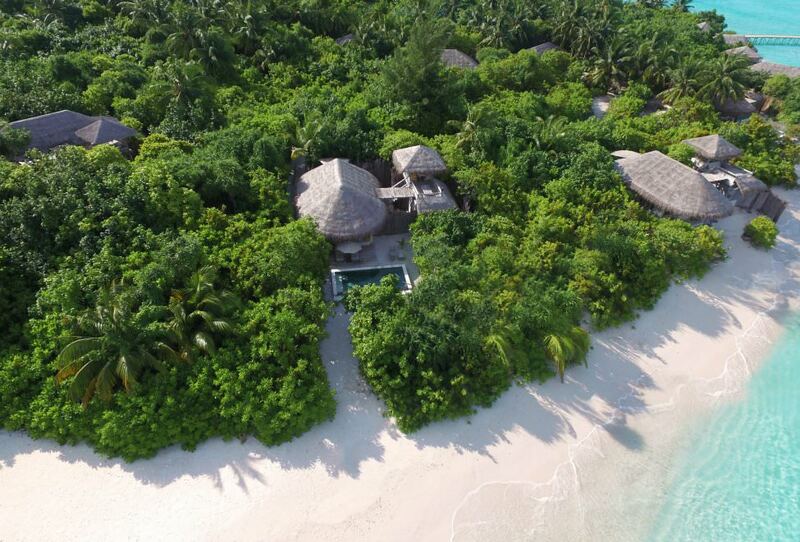 Located on the white powder sands of the beachfront these beautiful villas offer stunning views of the Indian Ocean nestled within the lush tropical jungle to give privacy. 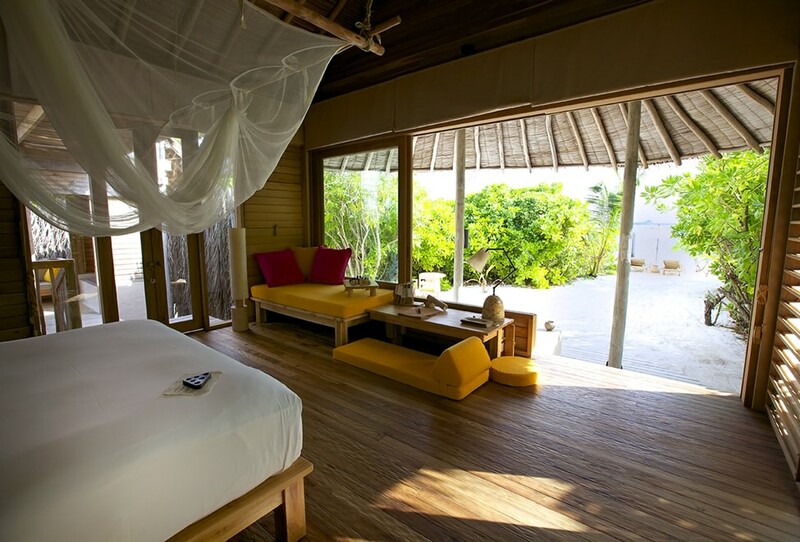 The beach is only a few metres away and the villa features a private treetop deck and garden area to view the natural beauty from. 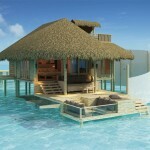 The villa also features an indulgent private pool to enjoy. 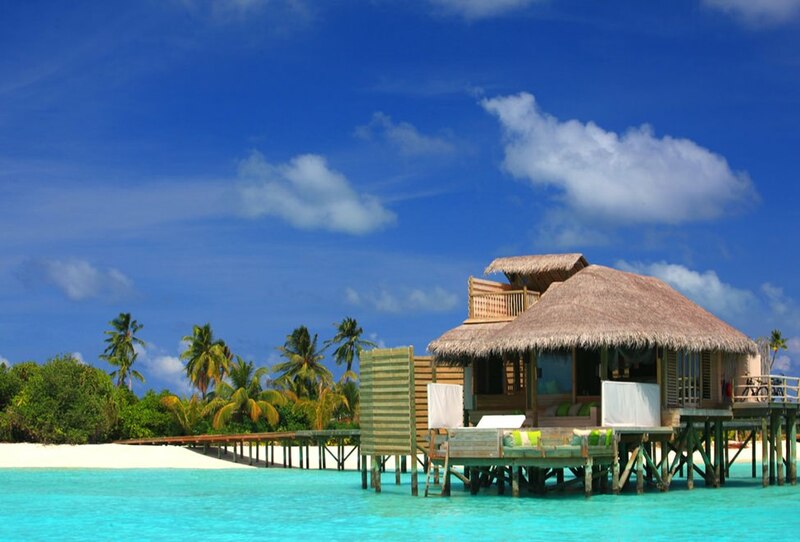 These villas are perched above the glittering blue waters of the lagoon along the natural timber jetty. 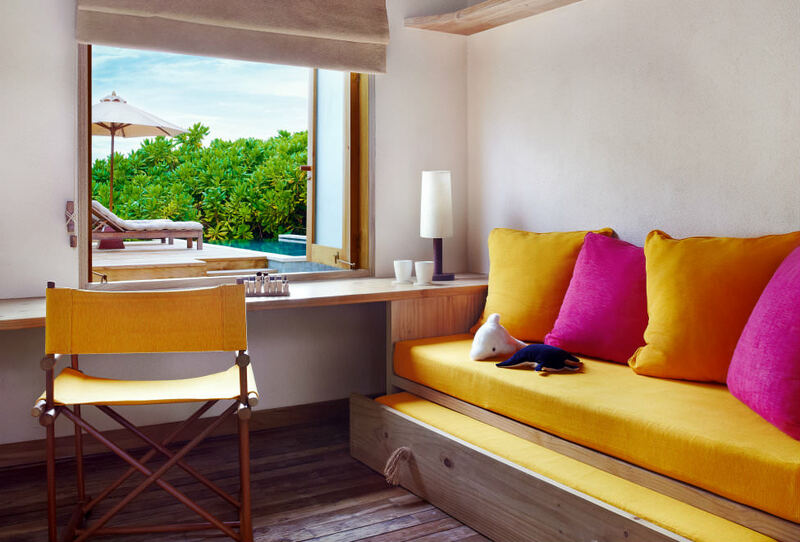 These stylish authentic Maldivian villas feature direct access to the water, relaxing overwater hammocks, and a private outdoor deck with a glass-bottomed table and sun loungers. 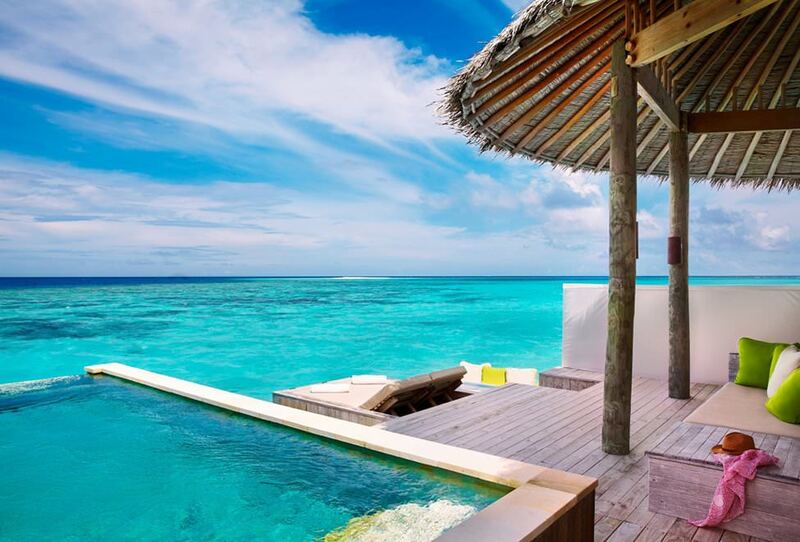 the bathrooms give a wow factors featuring glass overwater bathtub with a lagoon view and an outdoor rain shower. 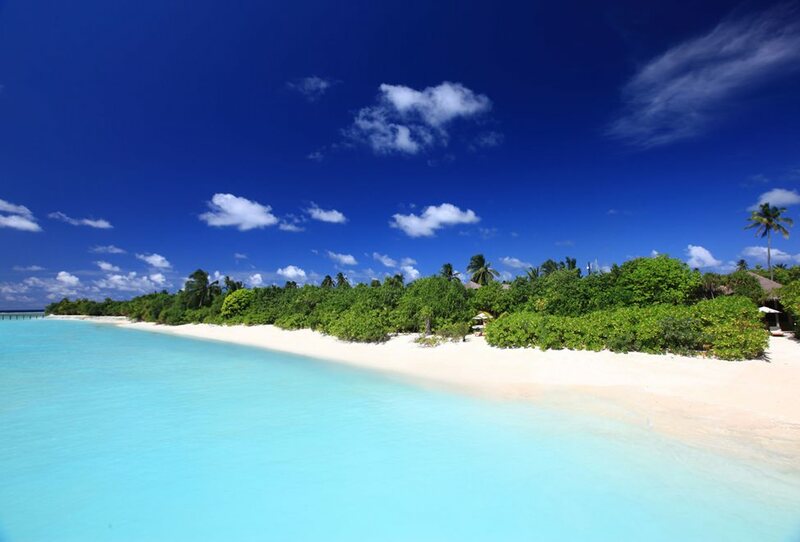 With stunning views, the sparkling water stretches as far as the eye can see. 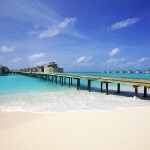 These villas are perched above the glittering blue waters of the ocean along the natural timber jetty. These stylish authentic Maldivian villas feature direct access to the water, relaxing overwater hammocks, and a private outdoor deck with a glass-bottomed table and sun loungers. 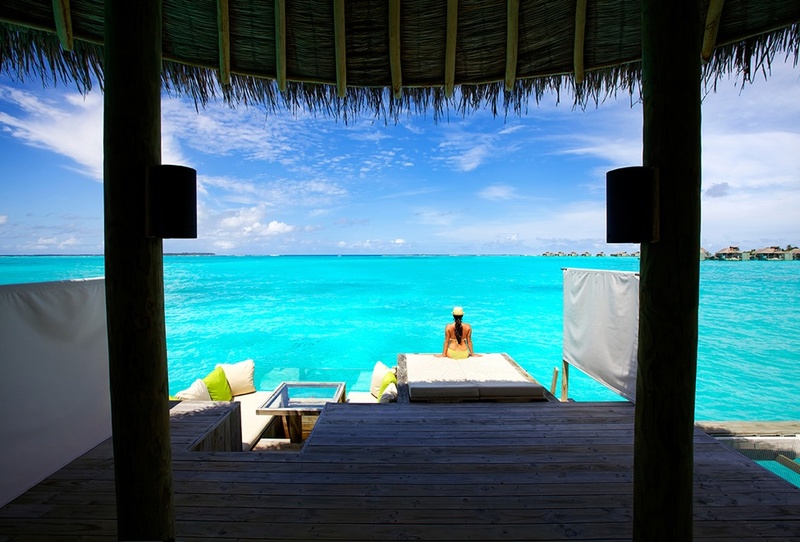 the bathrooms give a wow factors featuring glass overwater bathtub with a lagoon view and an outdoor rain shower. 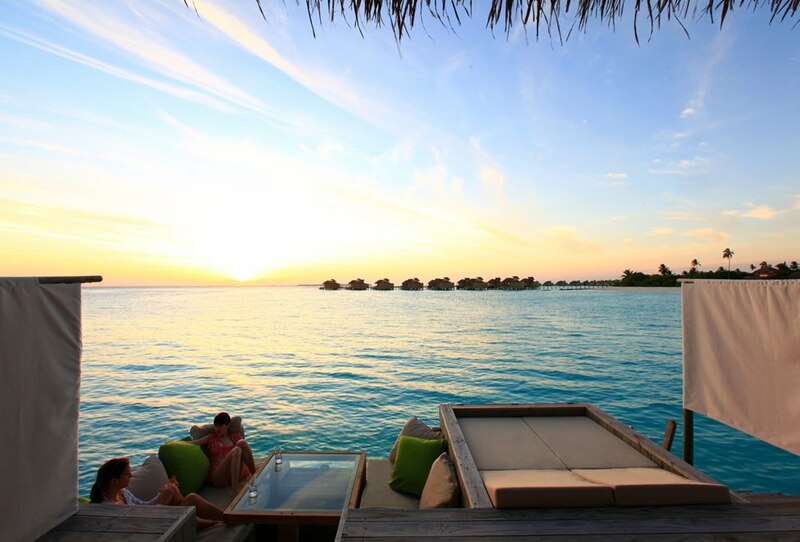 With stunning views, the sparkling water stretches as far as the eye can see. 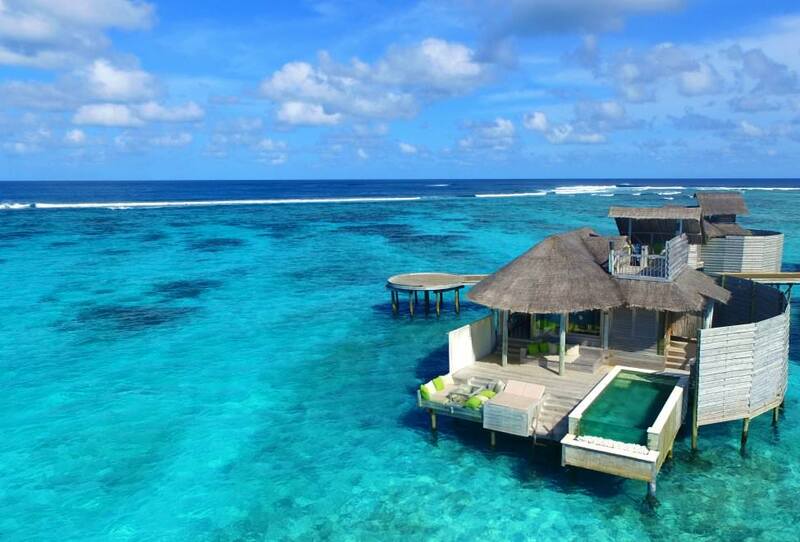 These villas are perched above the glittering blue waters of the ocean along the natural timber jetty. 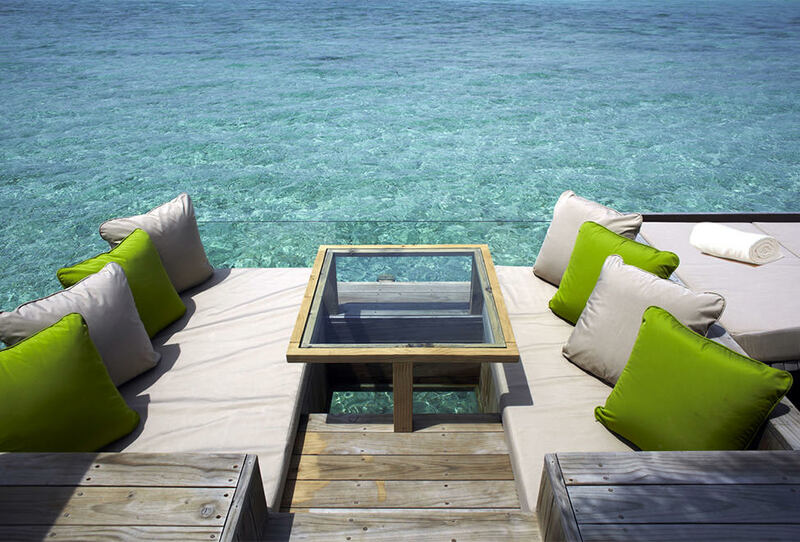 These stylish authentic Maldivian villas feature direct access to the water, relaxing overwater hammocks, and a private outdoor deck with a glass-bottomed table and sun loungers. 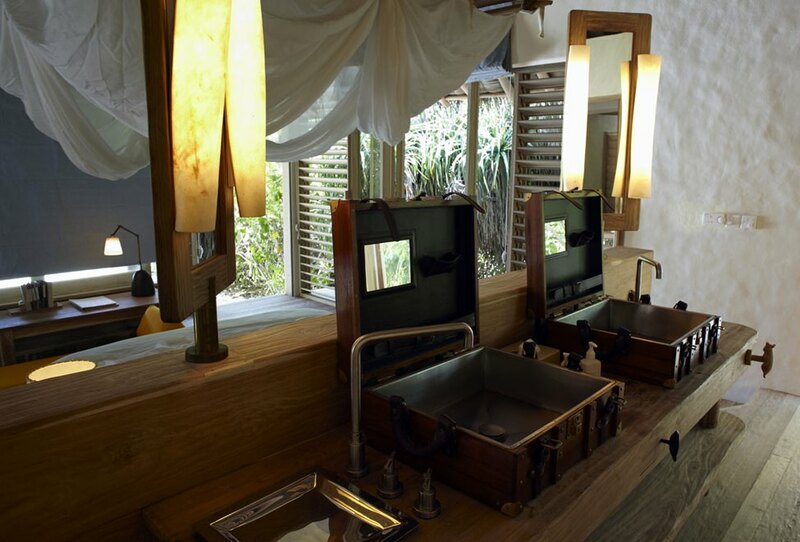 the bathrooms give a wow factors featuring glass overwater bathtub with a lagoon view and an outdoor rain shower. 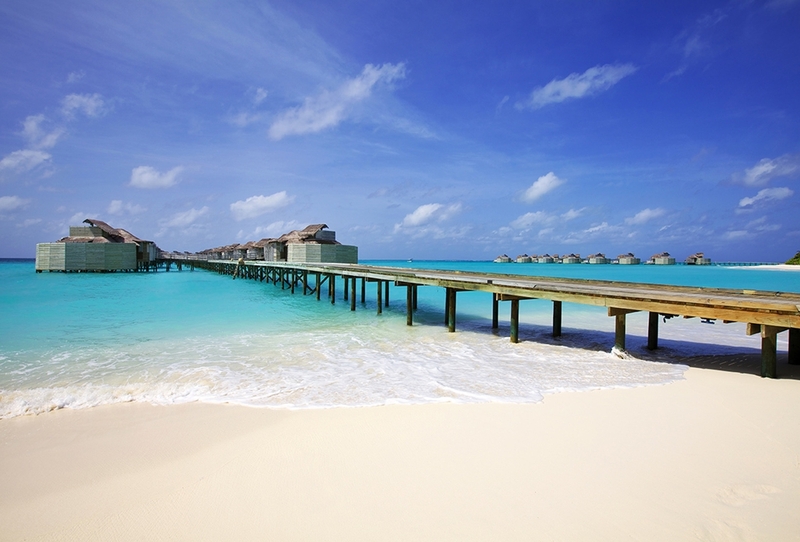 With stunning views, the sparkling water stretches as far as the eye can see. 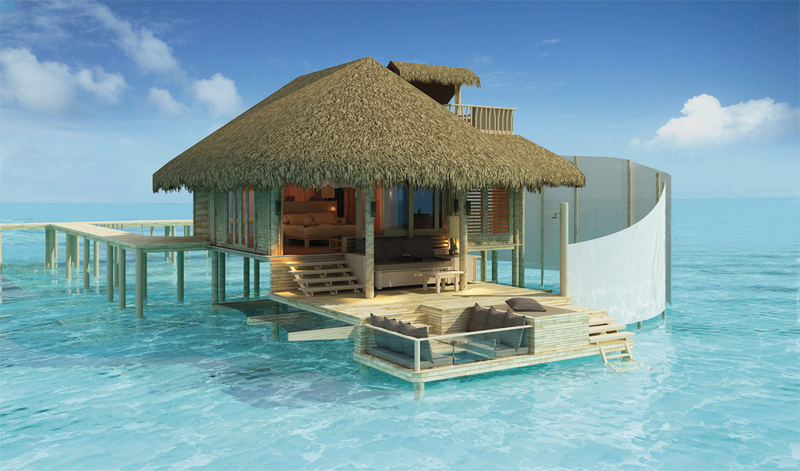 They also feature a private pool for you to enjoy. 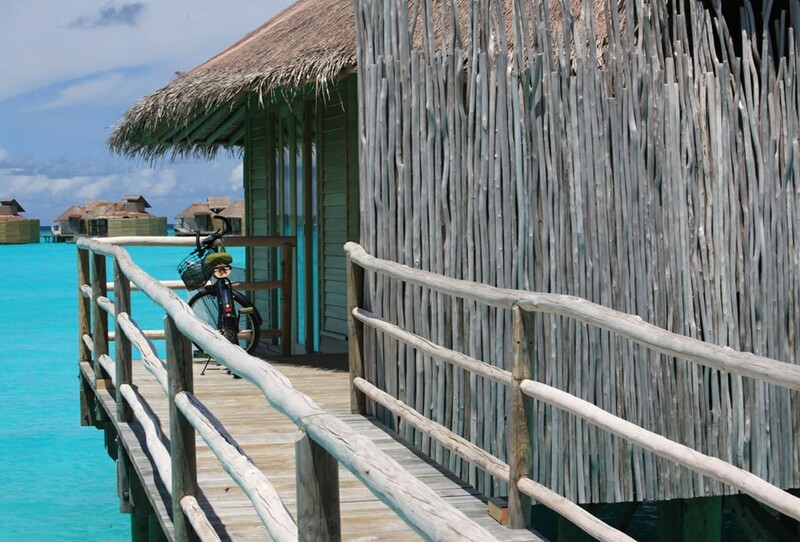 Set at the quiet end of the timber jetty these villas feature upper and lower decks and a sunken glass bathtub. 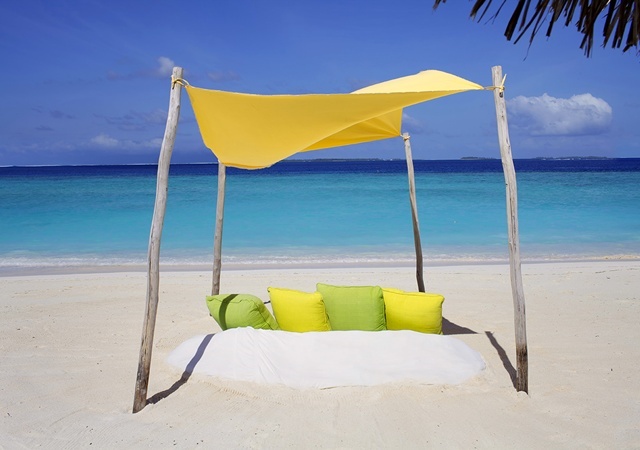 They have uninterrupted ocean views and direct access to the water, with plenty of spaces to relax like the overwater hammocks or cosy sun loungers. 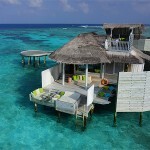 They also offer a fun glass-bottomed dining table and treetop deck to view the Maldivian sunset/sunrise from. 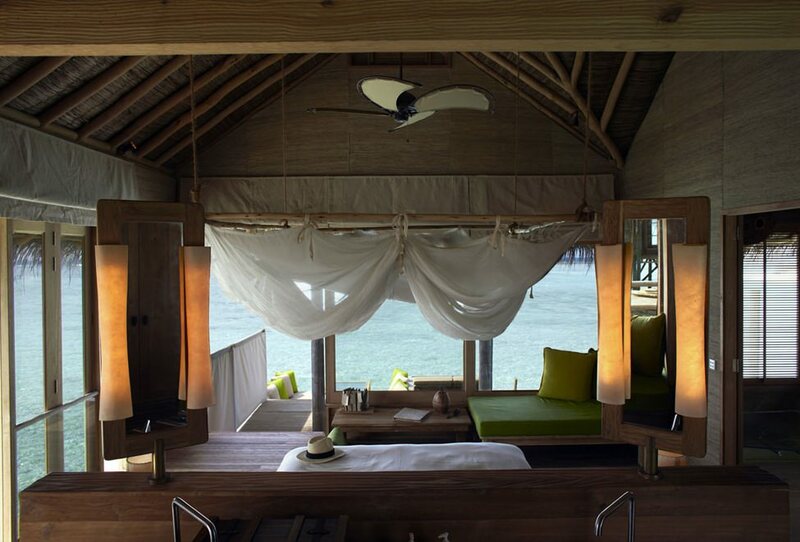 Set at the quiet end of the timber jetty these villas feature upper and lower decks and a sunken glass bathtub. 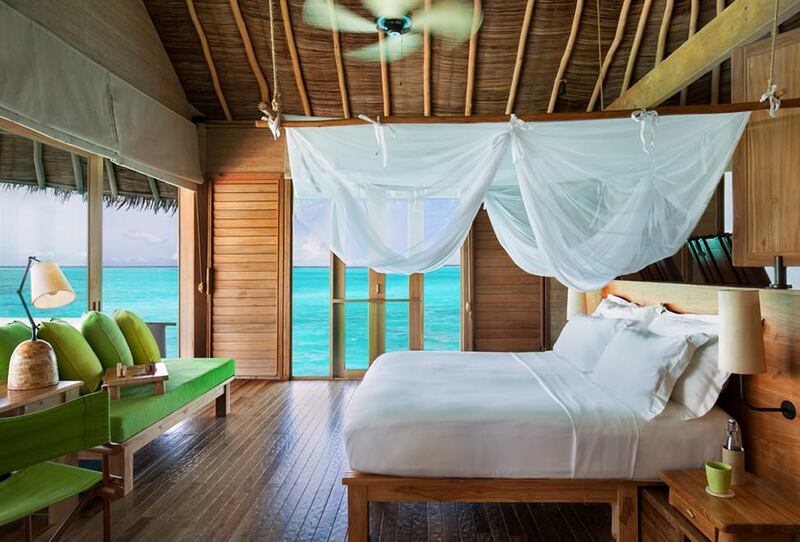 They have uninterrupted ocean views and direct access to the water, with plenty of spaces to relax like the overwater hammocks or cosy sun loungers. 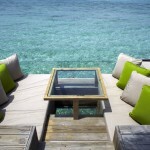 They also offer a fun glass-bottomed dining table and treetop deck to view the Maldivian sunset/sunrise from. 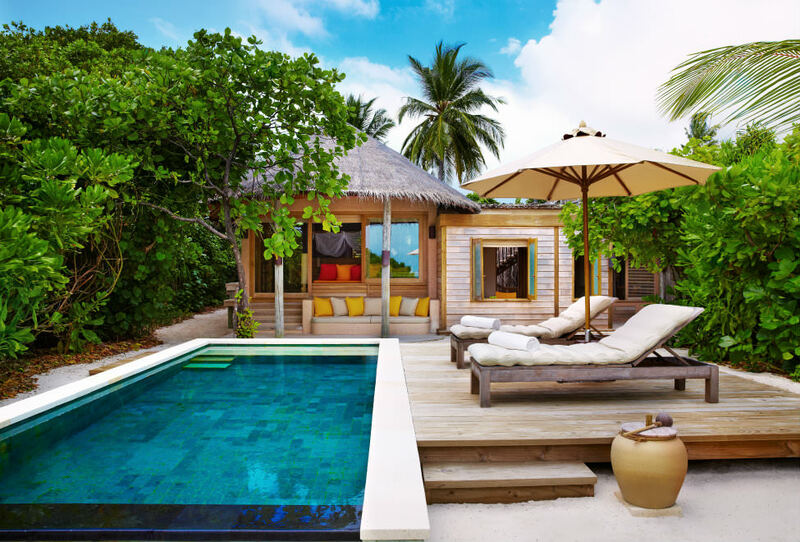 These villas also enjoy a private pool and water garden. 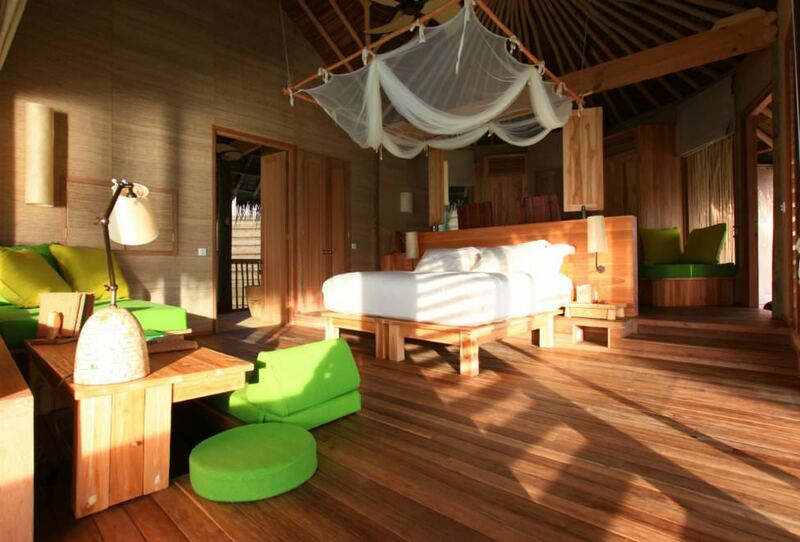 Hidden between the lush island vegetation facing the glittering sea, this villa is ideal for families. 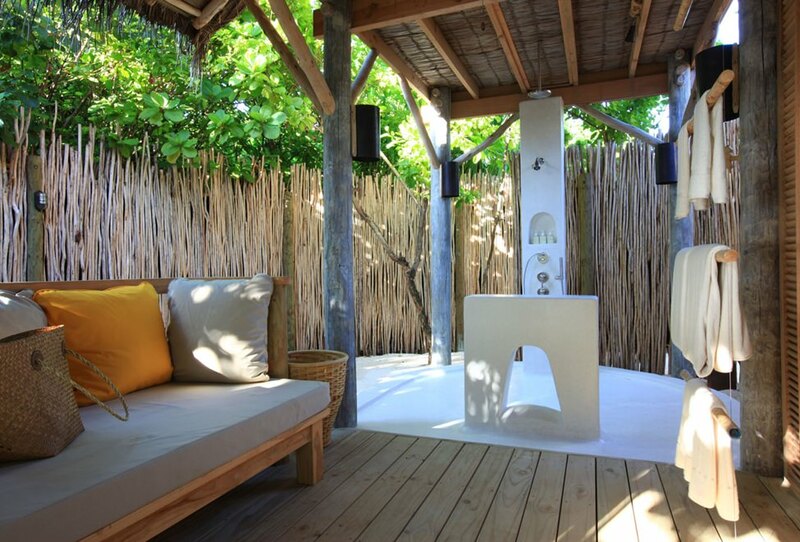 This perfect family hideaway features a private pool, direct access to the beach and a private garden area. Enjoy the Indian Ocean views from the panoramic treetop deck or take a morning stroll on the white powder sand beach. 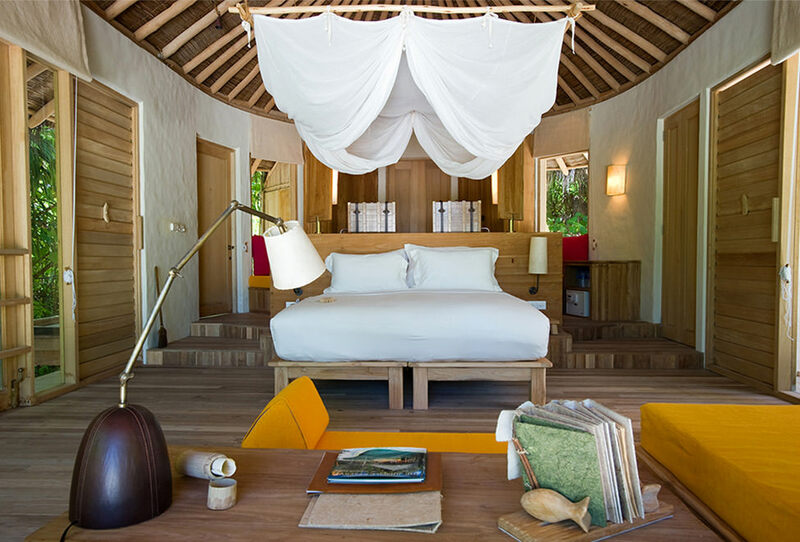 The Six Senses Laamu Maldives is renowned for its impeccable service, and it is also known fr its abundance of amenities and facilities. 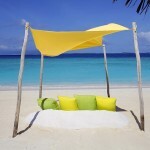 Some examples you will have access to include a divine spa, gym, library and high speed internet. 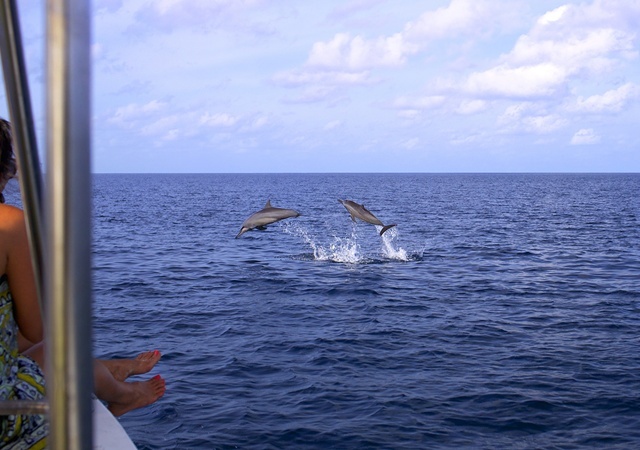 Providing you with plenty of activities the resort has canoeing, snorkeling and catamaran trip on offer each day. This cool, modern bar is the ideal place to go should you crave a sweet snack, as it is here you can enjoy ice cream, which is available in 40 flavours, crepes and cocoa. This graceful lounge is cosy and ideal for tea and coffee lovers, as it has a vast range of unique teas and coffees for you to try out. As the name suggests, this venue, which is spread over several levels, is the place to go for first class cocktails and wines. Here you can relax over drinks and listen to the smooth sounds of jazz, blues and soul music by top DJs and live performers. 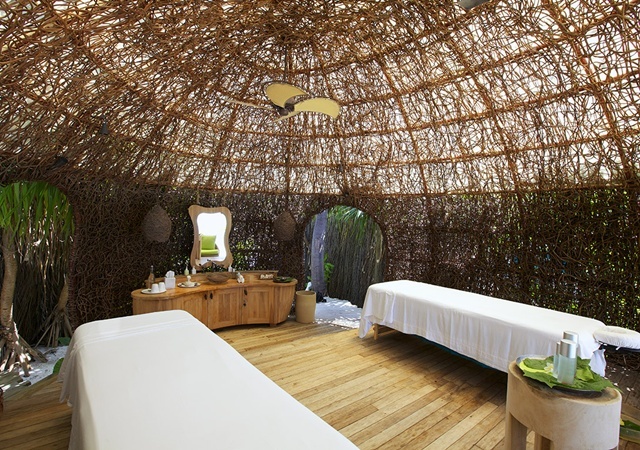 Six Senses Spa has five individual treatment rooms, all waiting to pamper you with a great range of specialist treatments such as Reiki, acupressure, Shiatsu and reflexology. 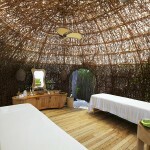 You can also visit the rejuvenating spa to take part in personal training and yoga programs. 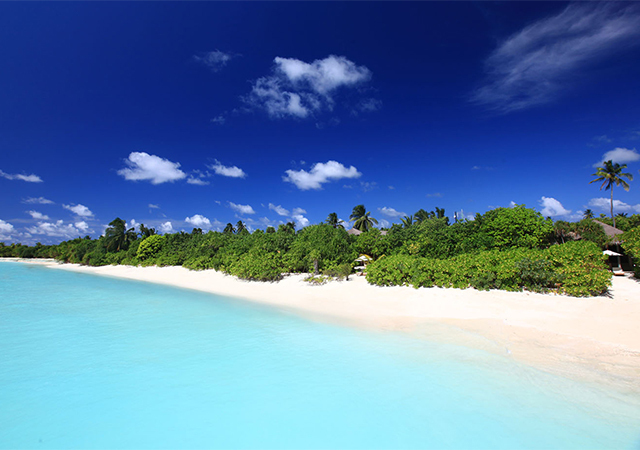 Here you can indulge in some sensational cuisines inspired by both hemispheres. 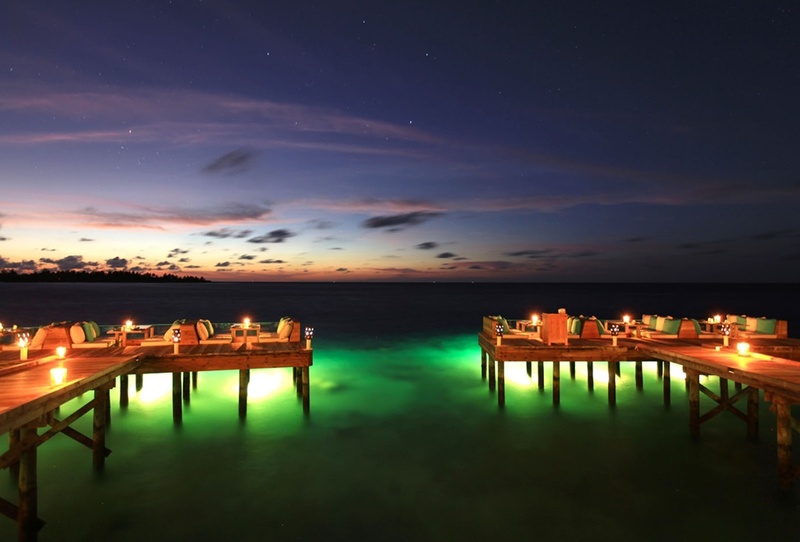 This relaxed restaurant has several daybeds tailor made for dining, and is set over water providing you with striking views of the horizon and beach. 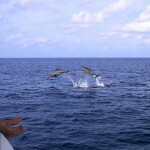 Simply Maldives Holidays recommends The Leaf to those who enjoy fresh organic food. 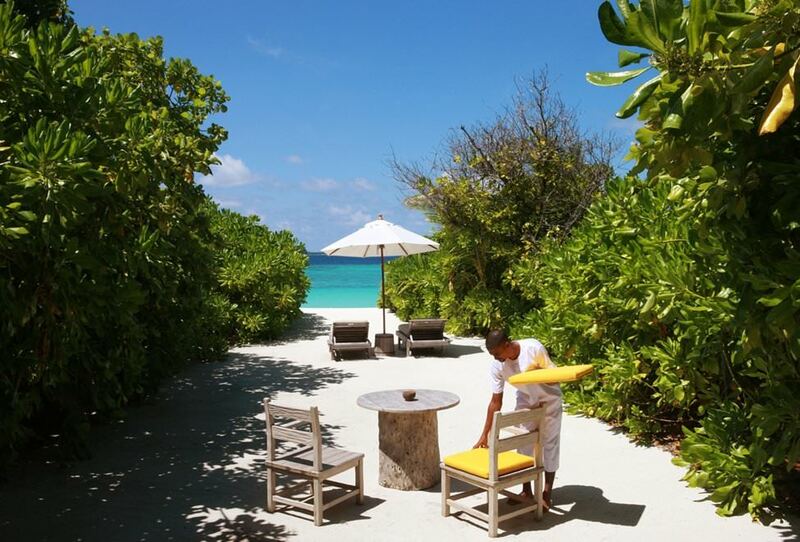 Each item on the healthy and tasty menu has been prepared using ingredients that exclusively come from the resorts very own organic garden, as well as fish direct from the Indian Ocean. Living up to its name this restaurant is located in a contemporary glass tower reaching heights of 6.4 metres. It is in this sophisticated venue you can enjoy high class treats from the cheese and meat deli accompanied with fine wine whilst admiring the magnificent surrounding views. 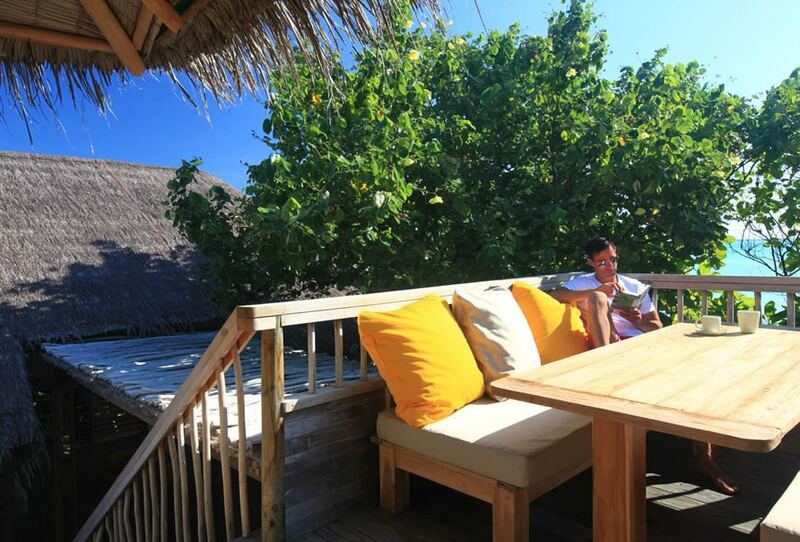 All Inclusive – “Laamu dine around experience”: Breakfast (buffet) and lunch (changing menu) at Longitude. 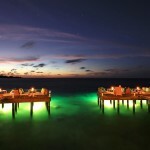 Dinner at Longitude (buffet), Leaf Gourmet restaurant, Wine Dinner in the Altitude wine cellar, Zen Japanese menu Kaiseki or Beach Barbecue. In-villa dining is also possible.